When the steel cables in tires begin rusting, it can cause tread separation, which increases the risk of tire blowouts and crashes. In many cases, it’s a defect of the tire that allows for excess moisture to seep in, creating the right environment for rust to develop. When a tire model is defective, it’s the manufacturer’s responsibility to notify the consumers and remedy the issue before someone gets hurt. Steel cords are built into tires for reinforcement and strengthening purposes. When the metal corrodes and develops rust, it reduces the integrity of the tire and can cause tread separation. Tread detachments are a common cause of tire failures that lead to loss-of-control auto crashes, explains forensic consultant John G. Glennon on CrashForensics.com. When iron, oxygen, and moisture mix, this creates rust. One of the primary factors that causes internal rusting in tires is moisture contamination during the manufacturing process. When the internal cords rust and cause the rubber tread to detach, it throws the tire out of balance. The tire can slowly or rapidly deflate; in both cases, it can cause the driver to lose control of the vehicle. Internal rust isn’t the only cause of dangerous tread separation. A few other potential causes are listed below. Defects in the manufacturing process are often the root cause of internal rusting and tread separation. “[Defective manufacturing] is actually one of the most common causes of tread separation,” explains Autos.com. Manufacturers have a responsibility to put only safe tires on the market. 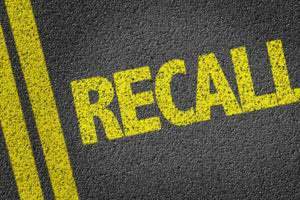 If they become aware of a defect and potential hazard, they’re required by law to issue a recall. If they fail to take care of their defective products and their defective tire causes injury to someone, they can be legally liable for the resulting damages. In 1999, Jim McGuire recovered nearly $5 million after suffering brain injuries a when his tire blew out, causing a wreck with a semi-truck. He claimed that internal rusting caused the wreck and filed a lawsuit against tire manufacturer Sumitomo and distributor Dunlop, which as noted was successful. If you or a loved one was injured in an accident that was caused by a defect in your tire, you may be eligible to file a suit to recover your damages. Each case is different, and your eligibility for damages depends upon the circumstances surrounding your accident. To determine whether or not you have a valid case and which company – manufacturer, retailer, service company – against which you might be able to file a claim, consult an injury attorney in your area. Contact us today at 855-529-0269 to schedule a free, no-obligation consultation.